Hey guys, check out Mariuca and B in a cool new movie! In this scene, we are on a treasure hunt in a strange unfamiliar city. And somehow we got separated before B came to my rescue and now we're desperately trying to decipher the next clue to get to our next location. I am pointing to one direction while B points to another LOL! Thanks to picjoke.com, I can now have more fun with my pictures just like the one above. picjoke.com is a wonderful online photoshop service that lets you upload any picture and add a lot of different amazing effects to it in a few simple clicks. All I had to do was select my effect and then upload my picture, before clicking the create button. You can create funny photos or capture sweet tender moments by choosing the best effect that suits your picture. So get as creative as you can and experiment with the many different effects available. Currently there are more than 100 different effects but new ones are being created every day; imagine the many amazing effects in store for you! This wonderful service is also free, which is another bonus so why not drop by picjoke.com? Start creating funny photos to share with your friends and family today. Have fun! Mariuca in a Hugo Boss ad! hhehe.. love the second picture dearie.. so sesuai gitu..
wah PB dari mana ni? awesome gils! He he he yay! Bestnye dapat hugo boss ad, in my imaginasi only lol! Haha. why not GP.. dreams first.. then come reality mah! Hahha.. lawak berlawak.. betul per.. lawa tu gambar.. I think it’s cool too! Love la this new discovery! Wuahhh so cool.. last time I did a pic joke where David Beckham had me tattooed on his body.. LOL!! Forever dreaming, that’s me LJ! Yeah! Nice right this PB? Try and bid Mon! I was at SR.. tak der dah the offer. boohoo!! Ok dearie.. nite nite.. cannot think edi.. time for bed. no more edi the offer, Mariuca! I bid two days ago and yest dapat LJ, maybe it will be available again later. Thank you for sharing this cool website. The picture you edit also look nice. Good day to you. Finally I managed to drop EC. I like your "Captured Moments". Sound alot of fun! Will try this sometimes. hey, i think i know the bench picture in the BOSS ad..aussie..am i right, lurve? wow! i so love the photos. great editing! 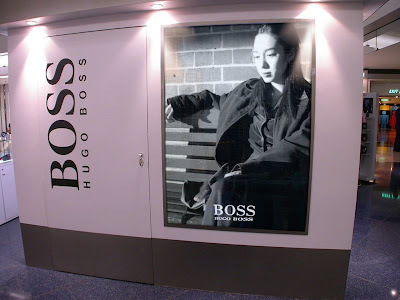 i really like the hugo boss poster! looks so real. finally my comments are getting through! I sure can Ayie, this site is terrific! Abaden! LOL! 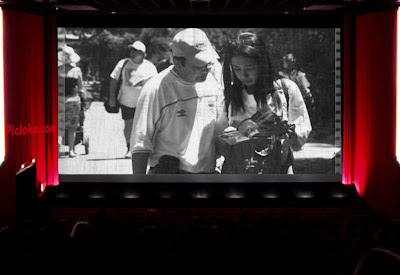 Enjoy the movie tekkaus! You’re welcome computer armoires, have fun! Hi Lil! Thanks sweetie, give it a try, very easy la to use this thingy…insert pic je he he! Thanks Ane, me love it too! Hahahhahaha my part-time job Elai hahahha!